We asked about this green beetle seen in Wrington garden 4.30pm Wednesday, 11th August. Did anyone recognise it ? Is it to be welcomed/feared ? Will it do anything to/for the roses ? 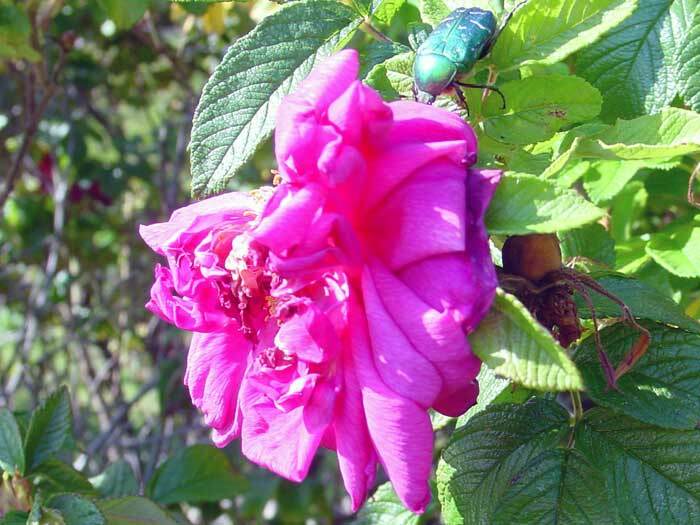 Thanks to Kate Morley, Bill Gale, Louise Argent, Julie Harnett, and Ed and Judith who identified the Rose Chafer (Cetonia aurata) and warned of its predilection for eating roses !